Throughout the month of June, SM Supermalls in Mindanao brought mall goers to the front row of Philippine history through celebrations on arts, music, and culture. As cities in the south waved the Philippine flag with pride, SM Supermalls became centers of community activities that underscored the joys, fun, and pride of being Filipino. 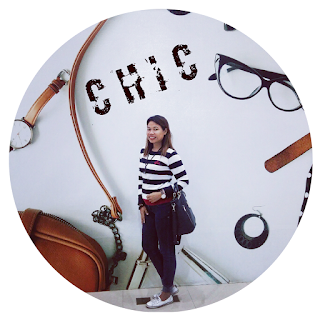 Various mall happenings became exciting reasons to visit SM—from sale events , to music festivals, and Filipino food fiestas. Striking art installations were also built in each mall to embody freedom, unity, and peace. These centerpieces were indoor sights to behold and powerful media to convey relevant messages about Mindanao and its ever resolute radiance. 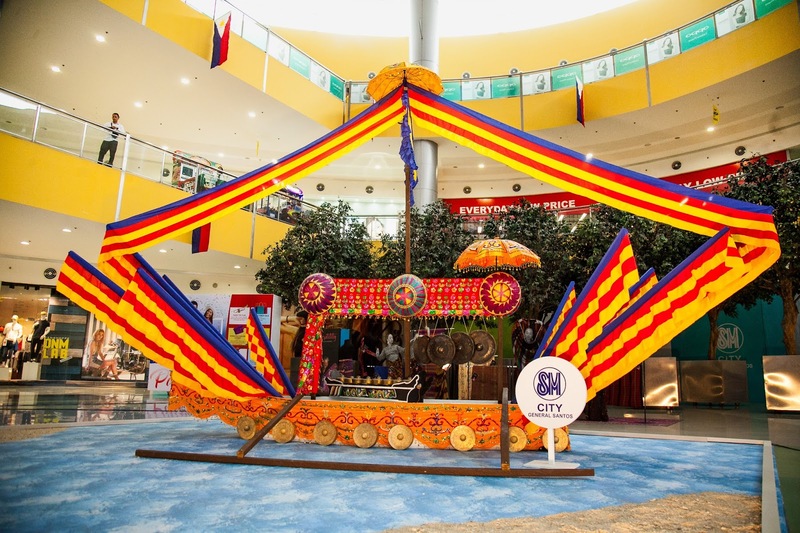 In SM City General Santos, the Guinakit—an ethos of the SOCCSKSARGEN region—provided a multi-sensory experience that indulged mallgoers with colors and sounds. The boat installation, docked in The Event Center of the mall, was heavily decorated in colorful traditional Muslim garments and musical instruments. Various adornments worthy of notice are native flaglets and banners and Maguindanao artworks—all signifying royalty, solidarity, and cooperation. Filipino ingenuity was given recognition in SM Lanang Premier's Mindanao Weaves. 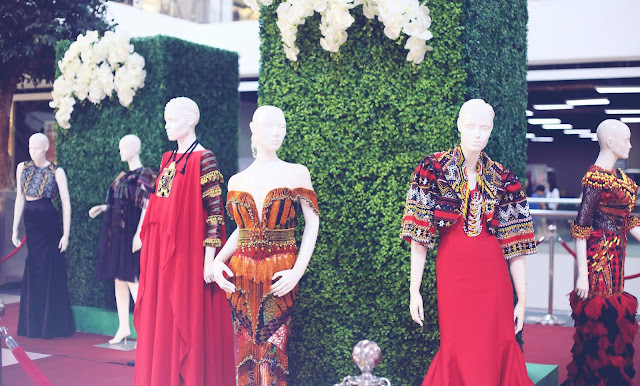 The mini exhibition featured creations of nine Mindanao-based fashion designers whose admirable skills put them on the map. Mindanao Weaves was fueled by the idea of using fashion as a platform to tell stories. Compelling narrations come in the form dresses worthy of global recognition, as previously worn by distinct personalities. Diverse indigenous materials—-from beads and fabrics, to crystal appliques and pearls—-came together in these pieces, which reflect visions of unity in diversity. 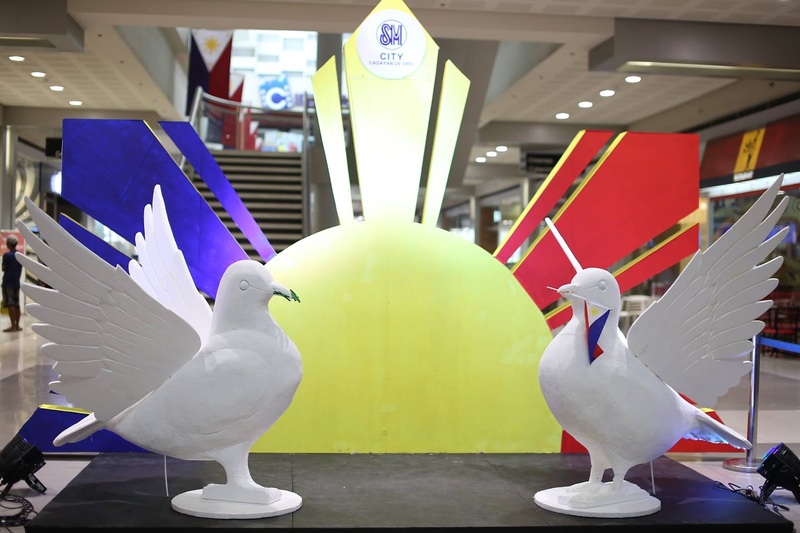 In SM City Cagayan de Oro, exaggerated shapes and giant dove sculptures accentuated a message of freedom and peace. The mall installation gave renewed flair to the symbolic bird, while also conveying hope and resilience, reminding Filipinos of silver linings. It also highlighted resourcefulness through upcycling of wood. 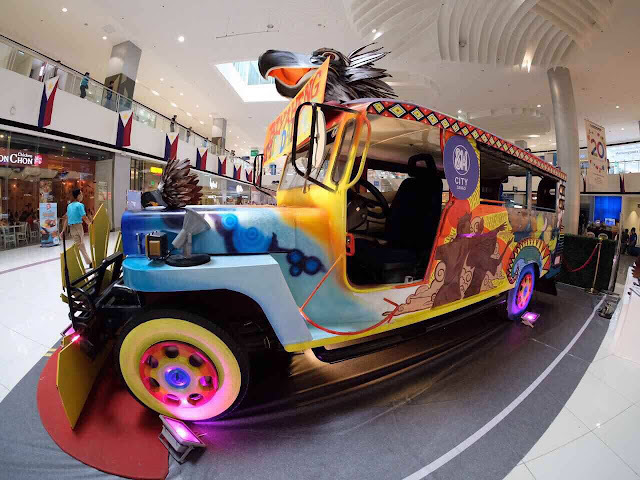 SM City Davao's King of the Road spruced up the country's iconic jeepney with fresh illustrations of Mindanao and Davao icons, as painted by young artists in the island. Decked with a Philippine Eagle topper, the jeepney gleamed with pride, inviting the community to hold up high for journeys ahead.